Thanks to advanced medicine, people tend to live longer and most of them need medical help during their old days. This is the primary reason why the field of nursing is expanding so rapidly. There are a number of factors that determines a CNA’s salary. As a fresh graduate, you will be earning around $12 to$15 per hour. 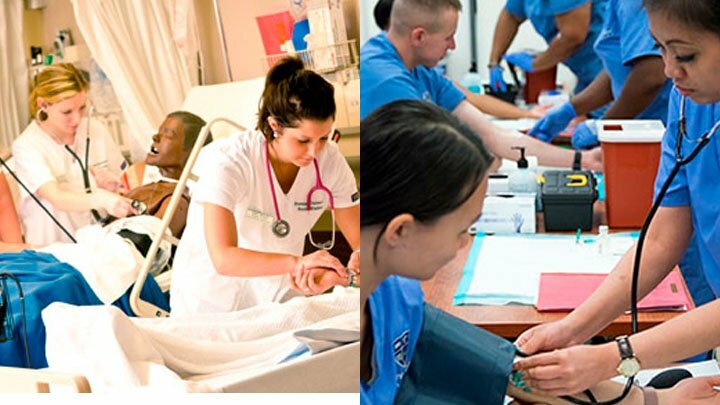 A CNA doesn’t need special eligibility criteria like a RN and they don’t even spend three years becoming a nurse because the short courses allows them to start their professional career as soon as they are done with them. The courses can last up to a year including the internship which is why a lot of people opt for it. After you complete necessary certifications, you will be employed at a hospital or a clinic. You will realize that the salaries differ according to the region as some states pay higher than others. For example, a CNA in New York can earn around $21,000 to $35,000 per year but a CNA in California might only be able to earn $19,000 to $33,000. So the salaries are highly dependent on the region or state you choose to work in. Like any other profession, experience is considered as a major factor in determining the salary of an individual; same is the case with CNA. If you are planning to be a CNA then you will notice an increase in your annual income with time. According to an average, a nurse with three years of experience can earn more than $20,000 per annum. The same nurse can earn $33,000 with five years of experience. Complementary certifications also help in increasing the pay of a CNA. Thus, experience matters a lot when it comes to a CNA’s salary.